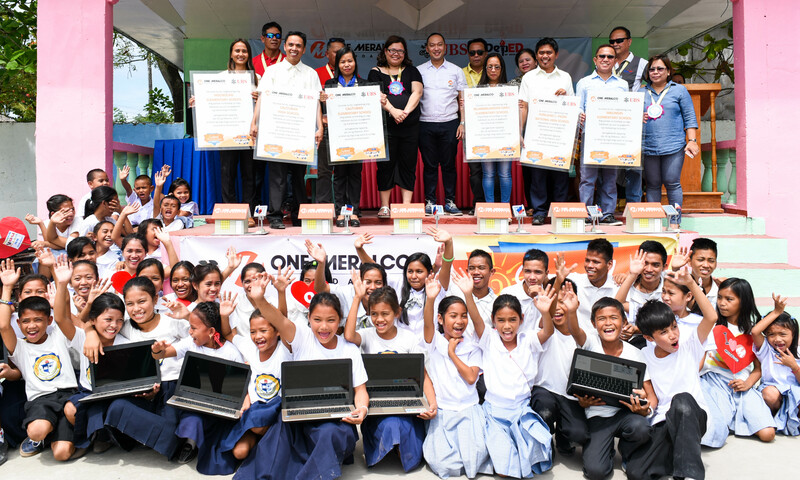 Manila Electric Company’s corporate social responsibility arm, One Meralco Foundation (OMF), and Switzerland-based bank UBS recently energized six island schools in Bohol using solar photovoltaic technology. The project is part of OMF’s school electrification program which provides an alternative and sustainable energy source to off-grid schools such as those in Bohol which are located in islands, the nearest of which is a 45-minute boat ride from the mainland. Calituban Elementary School, Calituban High School and Nocnocan Elementary School in Talibon; and Bilangbilangan Daku Elementary School, Malingin Elementary School and Ponciano L. Padin National High School in Bien Unido were installed with a 1 to 2 kilowatt peak solar photovoltaic equipment donated by OMF and UBS Investments Philippines, the Philippine entity of the global financial institution among the top 10 banks in the world. 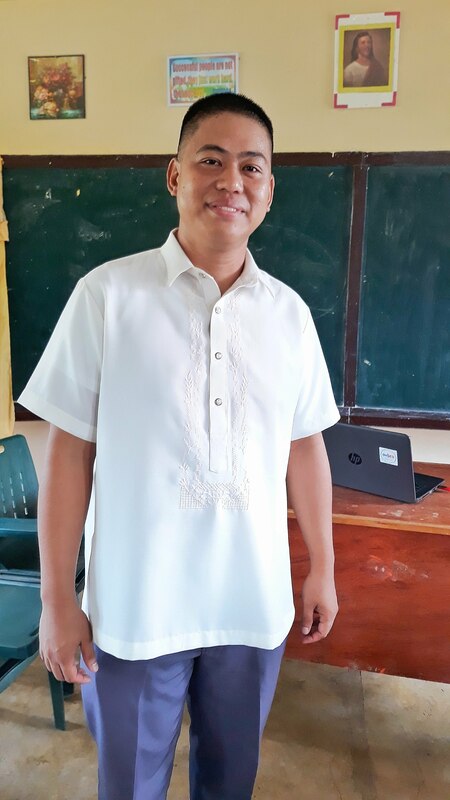 During a turnover ceremony and community launch held on February 14 in Calituban Island, OMF President Jeffrey Tarayao said the electrification is a fitting Valentine’s gift to the teachers and students who have not been able to maximize the use of technology in the classroom due to the absence of electricity. “Electricity is a fundamental need, especially for schools where technology plays an important role in improving the quality of education we offer the future generation of Filipinos. Providing electricity is only the first step; making use of this resource to improve learning is the next big challenge,” he explained. To help make teachers and students make the most out of their solar power, UBS also donated a multimedia package consisting of a 40-inch LED TV; 3-in-1 photocopier, printer and scanner; and a laptop computer to each school. 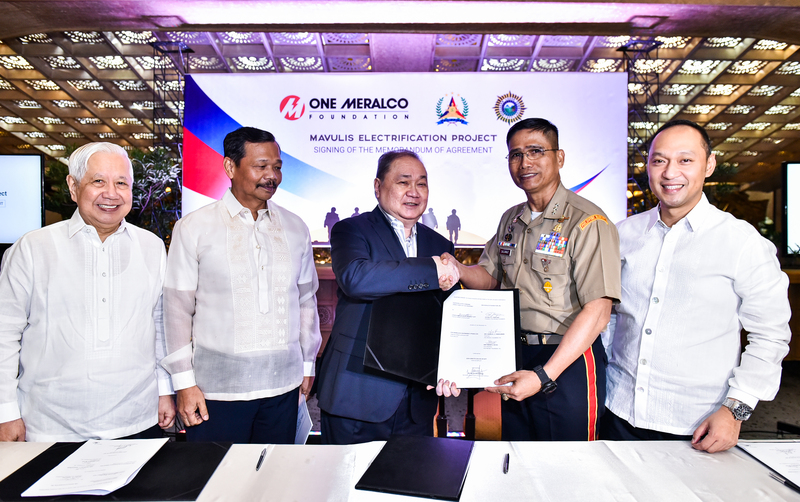 In January, Tarayao and UBS Investments Philippines Chairman and President Lauro C. Baja, III signed a memorandum of agreement in the presence of Meralco Chairman Manuel V. Pangilinan formalizing the donation of P1 million for the said project. 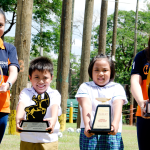 “UBS and One Meralco Foundation share a common aspiration: to bring progress especially to communities living in the margins. By providing electricity to these island schools, we are giving the students a chance to be better prepared for an increasingly demanding and technology-dependent workplace,” Baja said. UBS Associate Director and Compliance Officer Nina Feren Aguilar represented the company in the community launch attended by about five hundred students, teachers and community members. In a meeting with OMF and UBS representatives in Tagbilaran City, Bohol Governor Edgar M. Chatto expressed his gratitude to Meralco and UBS for having chosen the province’s island schools for the project. “The success of this school electrification project in Bohol is a good example of how marginalized communities benefit from a strong partnership between the government and private sector. This ‘bayanihan’ initiative allows private companies like Meralco and UBS to contribute to nation building by bringing basic services especially to isolated communities,” he added. This is not the first time OMF has done school electrification projects in Bohol. Between 2013 and 2015, the foundation energized five island schools in the municipalities of Inabanga, Jetafe and Buenavista. Since 2012, One Meralco Foundation’s school electrification program has provided electricity access to close to 200 public schools.